Chocolates, cuddly bears and roses may be the standard Valentine’s Day gifts, but sometimes it’s nice to try something different. Influenced by the idea that everybody deserves a little tender love and care, we put together the Botanical Beauty Kit so you can give your darling (or yourself!) a major glow for this loved-filled holiday. 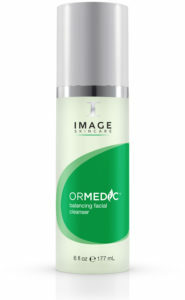 A botanically based cleanser, ORMEDIC Balancing Facial Cleanser is all about restoring balance to your skin while gently cleansing and sweeping away impurities. Soothing extracts including aloe leaf, chamomile and oat kernel soothe skin and provide relief from irritation. As a bonus, oat kernel extract is actually also a natural exfoliator, which helps “unglue” dead skin cells from the surface of your skin. Instead of a traditional sulfate-based cleansing agent, this cleanser was formulated with a special compound derived from sugar which removes buildup and other debris without harshly stripping away natural oils your skin needs and uses as moisturizers. The end result? Skin’s pH balance is restored and you’re left feeling soft, hydrated, and clean. 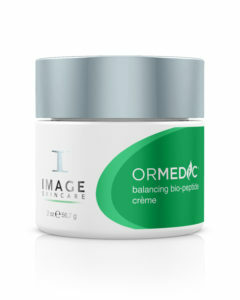 Rich and luxurious, ORMEDIC Balancing Bio-Peptide Creme helps take the edge off all those pesky environmental exposure problems. Part of the ORMEDIC line, it should come as no surprise that the crème is perfectly formulated for restoration and balance. 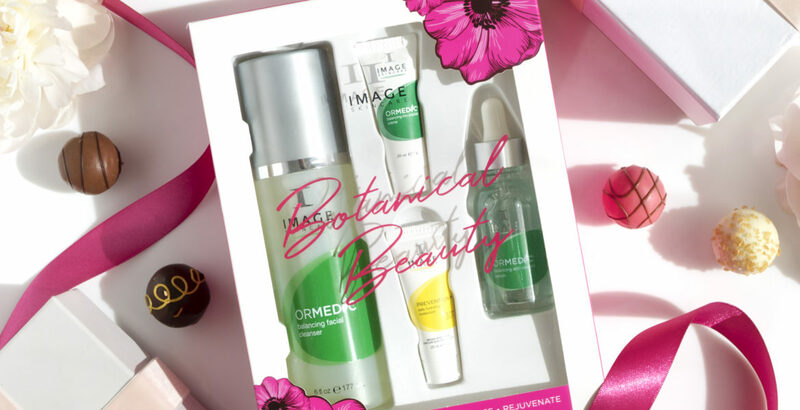 Japanese green tea extract and aloe Vera extract, both ORMEDIC staples, soothe and infuse skin with beneficial ingredients known to defend skin from negative external influences. A big part of balance is restoring hydration, which is why our crème is formulated with sodium hyaluronate. Naturally occurring in your skin, sodium hyaluronate levels tend to decrease as you age. However, nothing is quite as good as this miracle molecule in locking in water. To protect against drying, there’s organic shea butter. An excellent emollient, shea butter helps form a protective layer in skin which prevents water from evaporating into the surrounding atmosphere. Lastly, fruit oils and extracts high in vitamins A and E, and linoleic acid deliver a rush of nutrition to the skin. An everyday essential, ORMEDIC Balancing Antioxidant Serum focuses on restoring the moisture and nutrients in your skin to their ideal level. Because healthy skin requires a perfect balance of moisture, nutrients, and oils, each ingredient was specifically selected to bring skin to a state of optimal balance and hydration. First up there’s sodium hyaluronate, the gold standard hydrator that naturally occurs in your skin. This special molecule is able to bind up to 1,000 times its weight in water, making it first in class and must have ingredient. Next, there’s an organically bound copper peptide complex. A little known fact? Copper peptides reduce the visible appearance of fine lines and wrinkles. This specific copper complex is derived from nettles. To calm, soothe, and feed your skin, there’s also aloe leaf, marshmallow root, and mugwort extract. Mugwort boasts vital trace elements such as iron, zinc, magnesium, copper, and silicon, while marshmallow root and aloe vera are both soothing and can even alleviate the look of dry skin. Last but not least, Japanese green tea is another star ingredient of the serum. Renowned for being a superpower ingredient, Japanese green tea is known to be almost 20 times more powerful than vitamin E and helps prevent factors that contribute to all of the visible signs of aging. No good skincare regimen could ever be complete without sunscreen. Although few things in life are more relaxing than lounging around, carefree and under the sun, its always important to remember that healthy skin is free of sun damage. 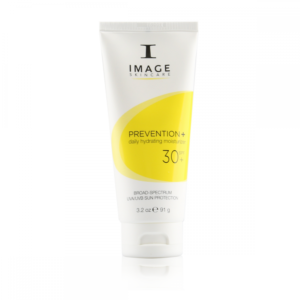 PREVENTION+ Daily Hydrating Moisturizer SPF 30+ is a sheer, lightweight formula that doubles as a hydrator and shield against the harmful rays of the sun. Mineral sunscreen zinc oxide provide broad-spectrum protection. (Mineral sunscreens sit on top of your skin, so they’re actually non-comedogenic and do not clog up pores.) This makes this the perfect sunscreen for those with acne-prone skin. Because the formula is so lightweight and absorbed quickly by the skin, it’s perfect for layering under your makeup. Is this available for sale on your website? It is available at your local spas. Please visit our store locator or call us at 800.796.7546 for more info.